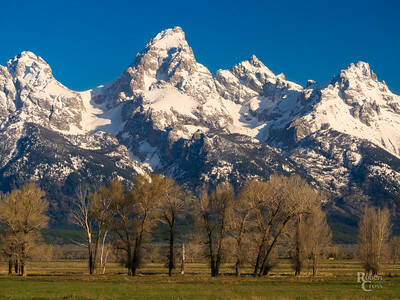 The Tetons rising up above Jackson Hole, bathed in the warm glow of the sun just after it has risen. 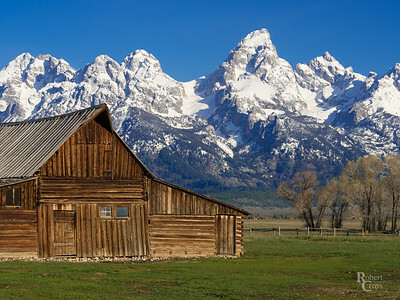 The peaks visible here (in order from your left to right) are: Middle Teton (12,804 ft – 3903 m), Grand Teton (13,770 ft – 4200 m), Mount Owen (12,928 ft – 3940 m), and Teewinot (12,325 ft – 3757 m). 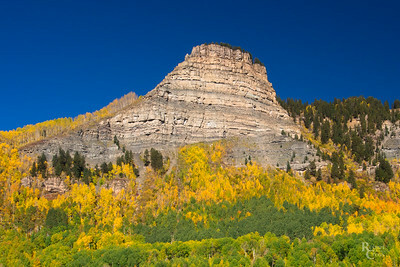 The valley floor where I was standing was almost exactly 7,000 feet (2134 meters) below the top of the Grand. 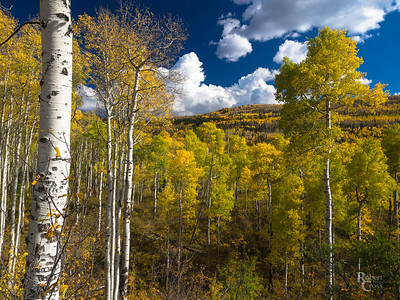 Looking into a stand of quaking aspens in full autumn color in the heart of the Elk Mountains of central Colorado. 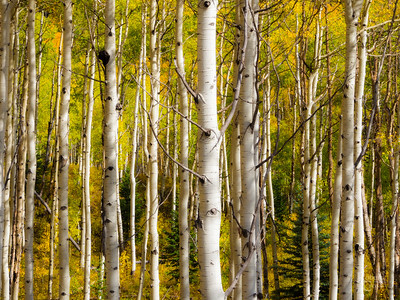 The warm afternoon sidelight lit up the whole grove and lent the trees an almost magical glow. 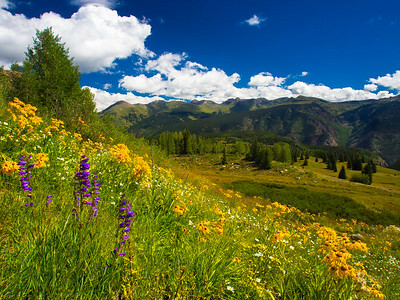 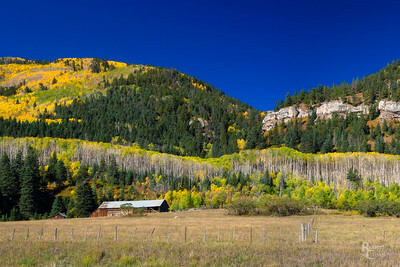 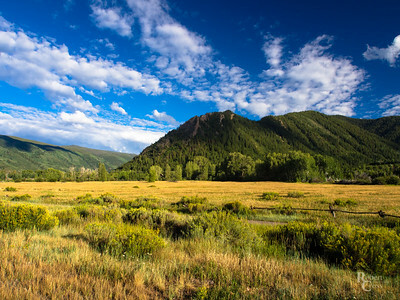 A ranch at the base of the ridge just above Hermosa, Colorado, at the edge of the San Juan National Forest. 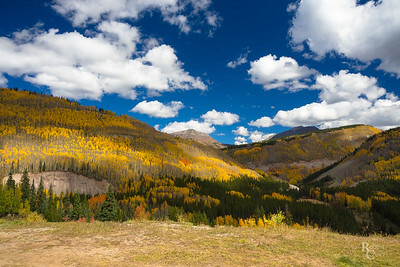 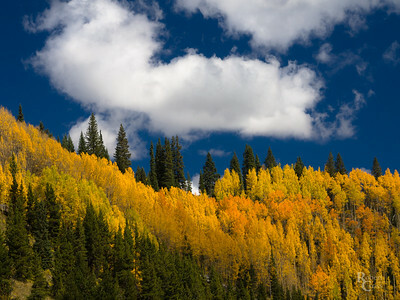 From a few years back, just as the aspens were hitting peak color in the Colorado high country. 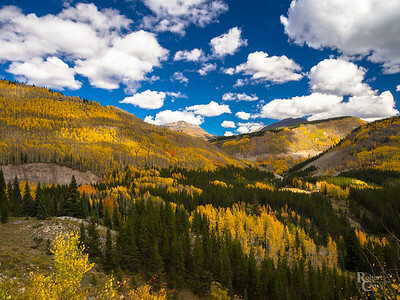 Four-shot, hand-held, vertical panorama stitched together in Lightroom CC. 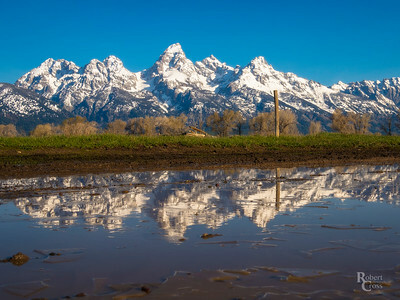 The ice begins to melt and mud begins to form on a spring morning in Grand Teton National Park. 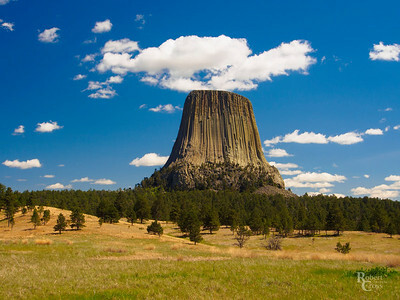 Devil's Tower National Monument, in northeastern Wyoming, on a beautiful spring day. 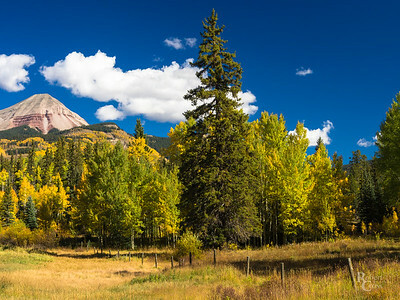 Such an amazing place, and yet, for some reason, all I could think about were mashed potatoes.